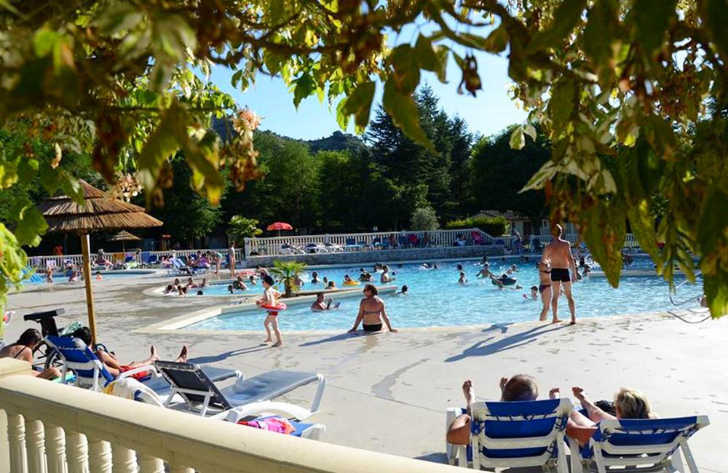 La Grand Terre is a 3 star campsite located in Ruoms in the Ardeche region of France. La Grand Terre is a pleasant 6 hectare family friendly campsite, that lies along the banks of the Ardeche River. Lying in an area of outstanding beauty, La Grand Terre is a lovely picturesque campsite which is ideal for all types of campers. If you want somewhere to relax, a base to explore or somewhere with lots of activities you’re sure to have a fantastic time here. The campsite is surrounded by fields and trees, with camping pitches being available in both the sun and the shade, not these pitches the trees will provide a welcome relief from the beautiful summer sun. One of the best things about La Grand Terre is that it has direct access to the wonderful Ardeche River. The sandy beach and river bank offers the perfect place to sit and relax while the water gives you plenty of opportunity to fish, build dams, swim, play and have fun. The campsite has also joined forces with a local company to offer canoe and kayak trips along the river from the campsites beach. At the heart of La Grand Terre campsite lies its swimming pool complex. Boasting a large heated pool and separate toddlers pool, kids will have a great deal of fun splashing around whilst sun worshipers can relax on one of the many sun beds that surround the pools. La Grand Terre is a great family friendly campsite and as such boasts a comprehensive range of on site activities and facilities. On site activities at La Grand Terre include multi sports field, table tennis, tennis, boules, canoeing, kayaking and fishing. Facilities available at La Grand Terre include WIFI, restaurant, takeaway, bar, groceries, animation team, games room, tv room, washers and dryers. Accommodation at La Grand Terre campsite includes a range of 2 and 3 bedroom mobile homes that are available from Suncamp.